The episode starts in the lab where Jeremy loads up one of his old but faithful inventions: his vocal synthesiser! He uses it to call the principal and tell him that William will be absent, because he has left to be with his parents abroad! 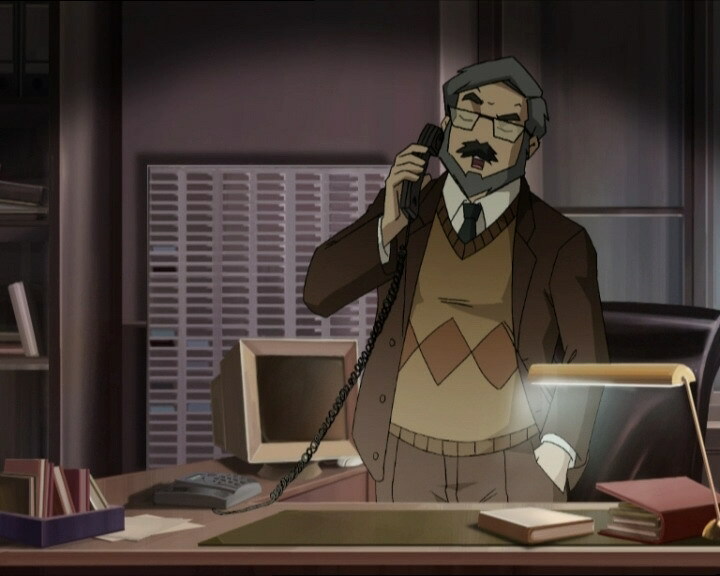 Next, Einstein runs a program that he created with Aelita in order to... recreate Lyoko! He used information from Hopper’s message so that he could create it. The program runs but only Sector 5 reappears. The other sectors are not revived. So, the heroes return to the school where some things have changed: the quarrel between Milly and Tamiya has ceased, but the situation is worse; they are continuing to ignore each other, and it appears as if there won’t be a future for the Kadic News! However, the chaos has attracted big shot Sissi who arrives to proclaim herself the new editor-in-chief of Kadic News! And with her newfound powers, Sissi soon got back to her old tricks... She surprises Yumi by asking her how her relationship with William is going. Ulrich manages to tell her that the young man left Kadic. Even though the heroes weren’t expecting him, William shows up, completely relaxed. Once the crowd disperses, the heroes catch him and ask him what happened. However, Williams says to have come back in the scanners and couldn’t remember anything from the time after he wound up in the tentacles of the Scyphozoa. The heroes can go to bed relieved. Unfortunately, they didn’t see two terrible threats headed their way... one worse than the other. The eye of XANA quickly reappears in the eyes of William and he heads towards Aelita’s room. After having gotten past Sissi who badgered him with questions, he knocks Aelita out and takes her to the factory. 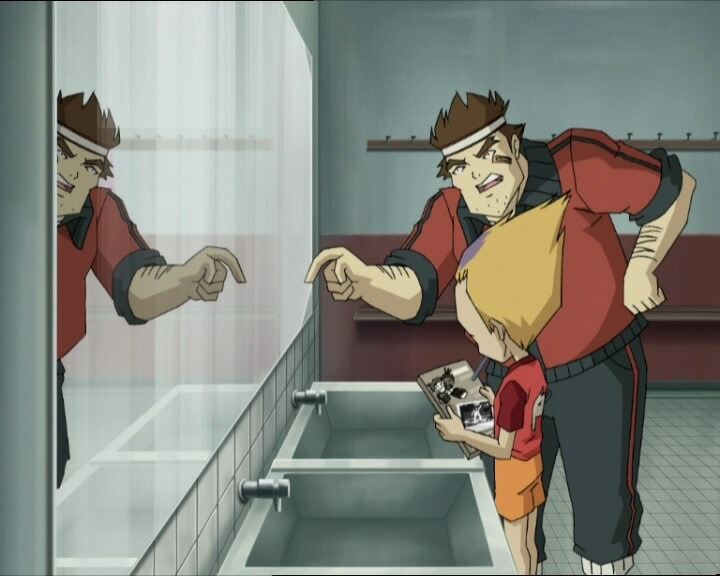 The heroes try to race for Lyoko, but the diabolical plans of Sissi trip them up... especially Odd! After some eavesdropping, Sissi overhears something thought long over now: the clip of Paco the King of Disco! Sissi managed to find it and divulges the secret in the school newspaper. Jim, suspicious of Odd, gets his revenge on Odd by confining him to the gym to make him disco dance, dressed in ridiculous disco clothes. On Lyoko, all takes a turn for the worse: William, in his new XANA-warrior costume, has virtualised Aelita and is levitating her towards the Dome! Ulrich and Yumi can’t make it to her, because they are being held back by Creepers. 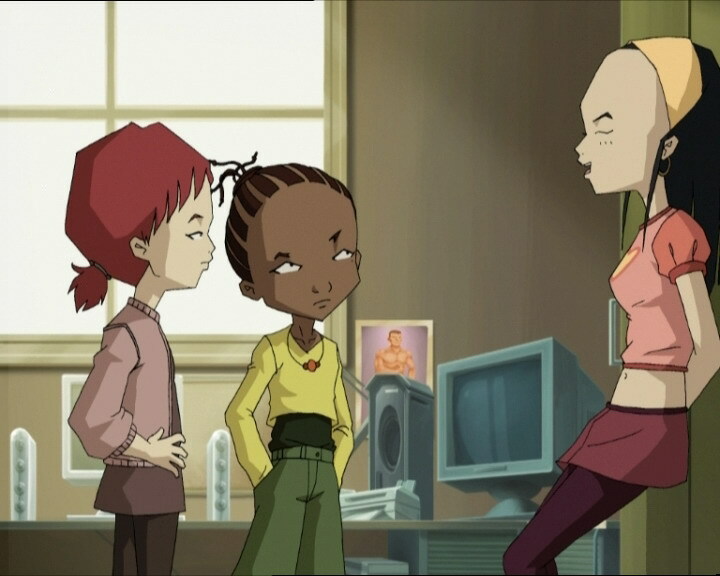 Aelita attempts to defend herself on her own, but nevertheless, William quickly catches up to her using his Supersmoke, and Aelita’s attempts to defend herself and plead William are in vain. The young girl is captured without much difficulty. Once back at the school, the heroes have many questions... Why does XANA want to throw Aelita into the Digital Sea? What has become of Franz? Will the heroes live under the constant fear of dark William reappearing at any moment? And above all... How has Jim become the new star of Kadic?! 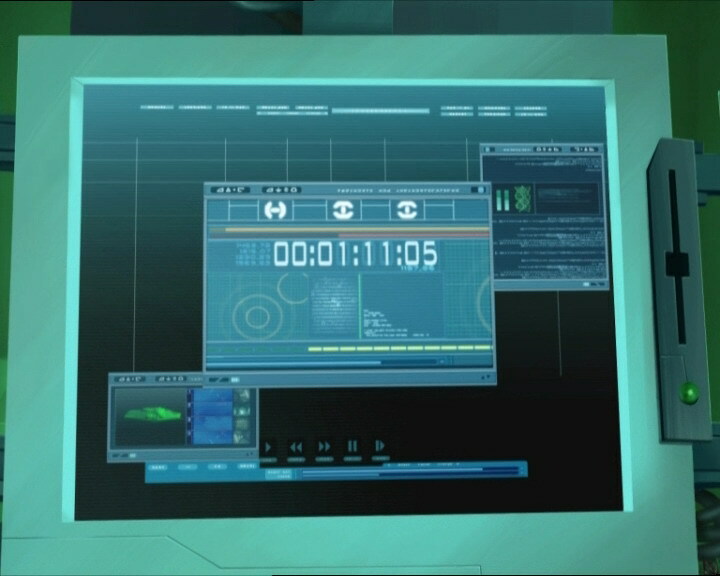 - Franz Hopper’s message contained data on recreating Sector 5. 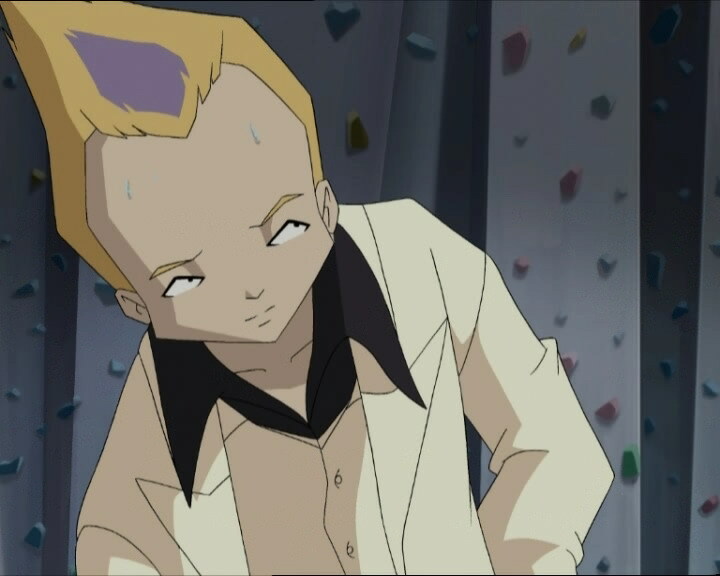 - William hasn’t disappeared, he remains constantly under the control of XANA and can come back and forth between the real world and Lyoko! He uses new powers and wears a new costume! He can make his sword appear whenever he wishes and can travel around as smoke. He rides a black Manta. - XANA’s new objective is to throw Aelita into the Digital Sea! - First time that XANA has sent William to Earth. - Jim becomes a new star at Kadic when his film “Paco the King of Disco” is discovered. - Odd doesn’t have any shadows drawn on him when William ruffles his hair. 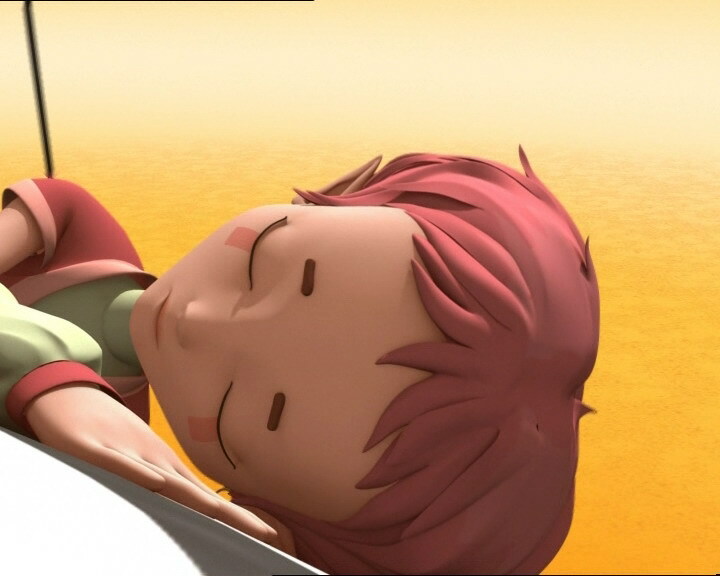 - In this episode, Aelita is knocked unconscious, then virtualised onto Lyoko with William. Once she is virtualised, she falls still unconscious. Up until now, every character who has lost consciousness awoke after being virtualised. - In one sequence, the marks under Aelita’s eyes were left out! - William’s right sleeve is the same color as that of his t-shirt when he touches his forehead. - The door to Sissi’s room is red instead of gray and the handle is to the left instead of to the right. - The lines under Nicolas’ eyes are missing after Hervé says that he didn’t see why our heroes conversation was any more important. - Jeremy’s mic is at his right ear when he says “Virtualisation” and the wire appears when he is relieved that Yumi is devirtualised in time. - Jeremy says that Aelita will forever be devirtualised by falling into the Digital Sea. 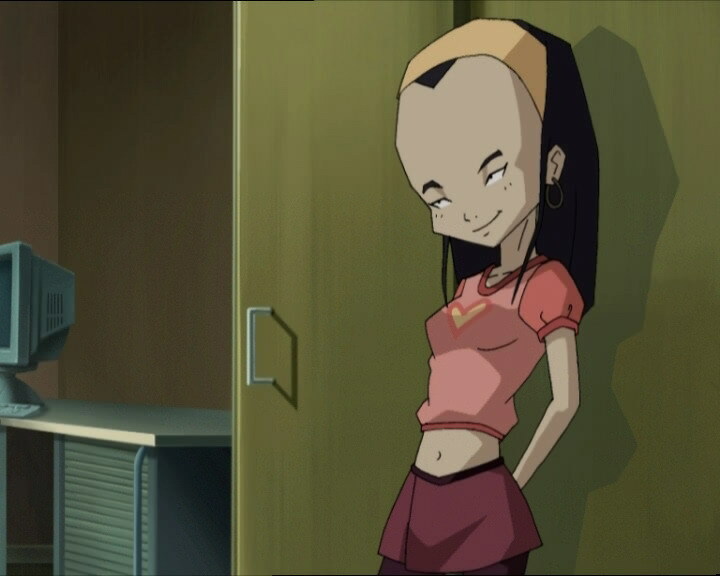 If this were so, she could no longer come back to Lyoko. He should have said that she would forever be “virtualised.” In this case, she would forever be stuck within Lyoko. - This episode starts 1 week after the previous episode. - There is a new opening and new background music starting from this episode. Note that William is still presented with the 5 heroes in the opening. - The 5th sector is recreated by Aelita and Jeremy. However, there is no longer a key to deactivate. - Last appearance of Yumi’s old cellphone. - Last appearance of the old virtual outfits of the heroes. - First time that a hero (Ulrich) is devirtualised by the mines left by the Mantas! - Second episode where a Creeper isn’t destroyed by the first hit. - Fourth time that Aelita is taken by a XANAfied person and the third time that she is virtualised by force. - William makes an allusion to the previous episode when he was captured by the Scyphozoa. - The telephone number of the principal is the same as the heroes: (33)655-321-258! - Yumi is devirtualised exactly like in episode 55 “Tidal Wave”, but by Odd this time. - Reappearance of the magazine that Sissi read in episodes 2 “Seeing is Believing” and 36 “Marabounta”. Allusion to episode 53 “Straight to Heart” during which Odd discovered the clip and made the promise not to talk about it. 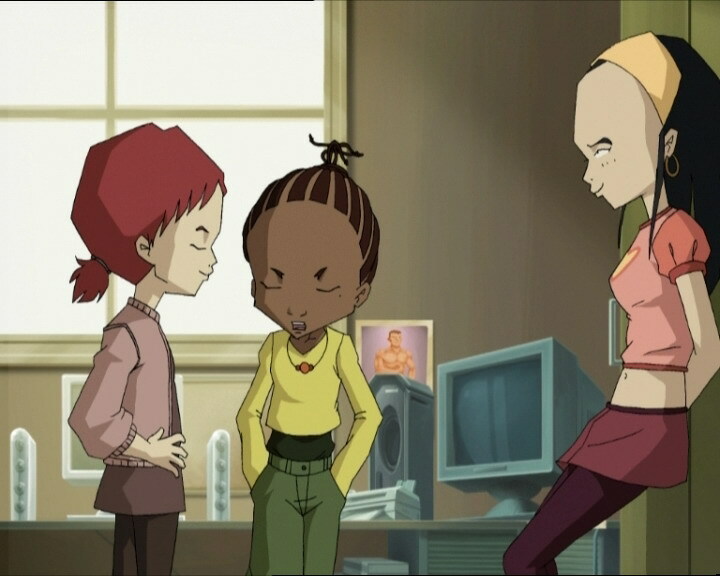 - Aelita made an allusion to the previous episode by mentioning the data that her father gave them to recreate Lyoko. 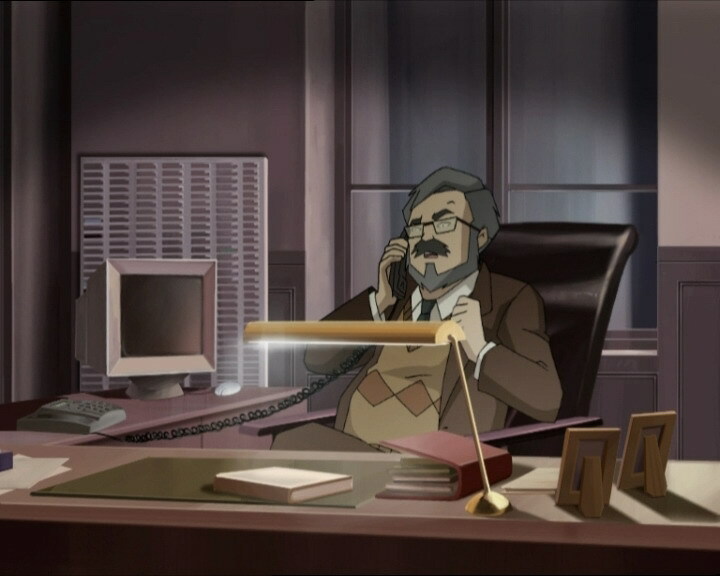 - The first of two episodes (with episode 65 “Final Round”) where the title card (between the end of the opening and the start of the episode) features not a tower, but a holomap where the main sectors are absent (see their destruction in episodes 54 “Lyoko Minus One” and 58 “The Pretender” and 64 “Double Trouble” for the Mountain sector). Allusion to episode 53 “Straight to Heart” where Odd had Jim change his classes for him to be with Jeremy, Ulrich, and Aelita. - This episode should have been aired the day that season 4 arrived, August 29th 2007! 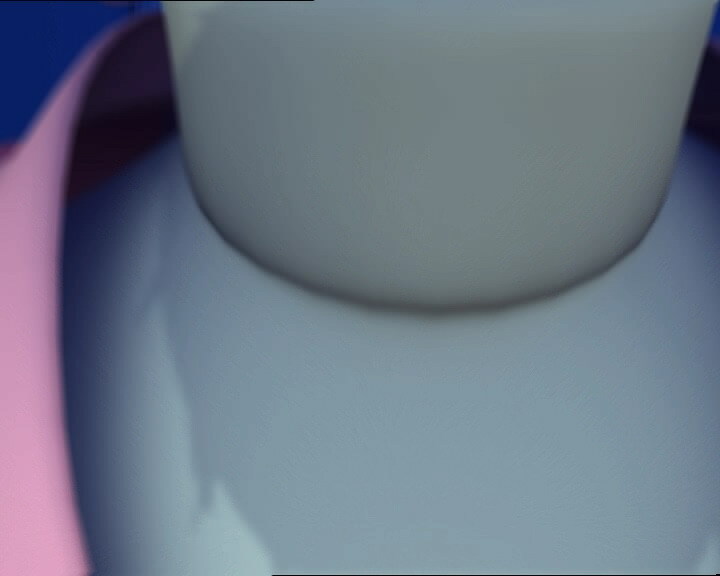 However, France 3 aired it too early in advance on Monday, August 13th 2007 without warning the Lyokofans during reairings of previous seasons, and aired an incorrect commercial with images of season 4 at the end of each reaired episode. - The title may refer to the film "Superman Returns". Mr. Delmas (on the telephone): I can’t hear you very well, Mr. Dunbar. Are you trying to say that your son, William, has gone overseas to stay with you? And that he won’t be attending classes here until you bring him home? Jeremy (using the voice synthesiser): Yes, that’s correct, sir. Mr. Delmas: I see, but it’s quite surprising that he would leave without even bothering to tell any of us. Jeremy: Uh, it was a very sudden decision. You know how youngsters can be at this age. I’m sure your own daughter, Sissi, is capable of doing the same thing. Mr. Delmas: That’s very possible, yes. But I didn’t realise that you knew my daughter. And by her nickname as well. Jeremy: Uh, that is, um, well, actually, I don’t really know her, obviously. But well, you see, William, uh, talks so much about her. It’s always Sissi-this and Sissi-that and so it’s almost as if I really did know her. Aelita: Thanks to the data we got from my father before he disappeared into the network, Jeremy and I have just about recreated Lyoko! Aelita: We may even be ready by tonight! Jeremy: That’s right! In fact, Aelita and I have worked on it every night for the last week! Odd: Ahh, so that’s why you look like a couple of zombies, huh? And I thought that you looked like wrecks cuz you were partying all night. I was getting jealous. Ulrich (talking about Milly and Tamiya): They still sulking? Jeremy: What do you think? Odd: Well, you did sneak out the bathroom window in the middle of an interview. And for ace reporters like them, that is pretty insulting! Odd: No, it’s not! How am I gonna know who’s going out with who now? Hervé: Well, personally, out of all of the seasons of the year, I like the spring best of all. Nicolas: I like summer best, because it’s nice and warm. Sissi: Quiet, huh? I can’t hear anything. Hervé: Well, if you can’t hear anything, then we should speak louder, shouldn’t we? Sissi: Dork! It’s not you I wanna listen to! Ulrich: Odd, don’t tell me you’ve been watching Paco the King of Disco again? Odd: I can’t help myself. Whenever I’m in a bad mood, I put the film on. I don’t know why he’s so ashamed that he used to be an actor. Ulrich: It’s probably because the film was a flop. Hervé: I don’t see what makes their conversation more interesting than ours. Milly: What’s she doing here? Tamiya: That’s what I was gonna say! What’s she doing here? Milly: I thought it was me you wanted to see! Sissi: Well, at least you agree on that. It’s not much, but it’s a pretty good start. And it’s all thanks to me! Which is why for the good of the Kadic News, I’ve decided to become the Editor-in-chief! Sissi: Wrong again, little ones. A scoop, huh? How about an enormous scoop? Yumi: Hey, wait! Look at that! Ulrich: That’s incredible! It worked! Odd: Aelita, Jeremy, you guys are gods! Jeremy: Well, almost, but not quite. 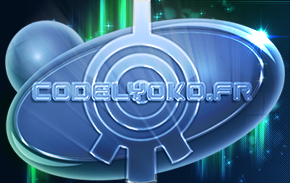 For the time being, all that we’ve been able to recreate is Sector 5 of Lyoko. We’ve still gotta work to create the other sectors, but we should be able to do that soon. Odd: Umm... A newspaper without much news? Odd: Do you know what Jim’s gonna do to me for this? Sissi: No, but I can’t wait to find out. And I’m sure that my readers are dying to know too! Sissi: Oh, and since you’re all together as usual, I’d like to ask Yumi a few questions for the next issue. What are you two waiting for? C’mon, we’re rolling! Now, Yumi, our readers would really like to know how you and William are getting along. Yumi: Uh, W-William, m-me and William? I-I don’t know what you’re talking about. Sissi: Would you rather I ask the same question to William? He may not be as shy as you are. As a matter of fact, where is he? The last time I saw him was a week ago! Ulrich: H-He’s gone abroad. His father called your father to tell him. Sissi: Oh, how come you know that, huh? William: Are you talking about me? 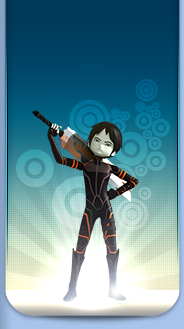 William: All I can remember is being virtualised on Lyoko and being captured by the Scyphozoa. It’s a blank after that. That is ‘til this morning when I woke up in the factory. William: Hey, what are you doing, Odd? You’re hurting me. Odd: Just checking to make sure you’re not one of XANA’s ghosts. Jeremy: No danger of that. 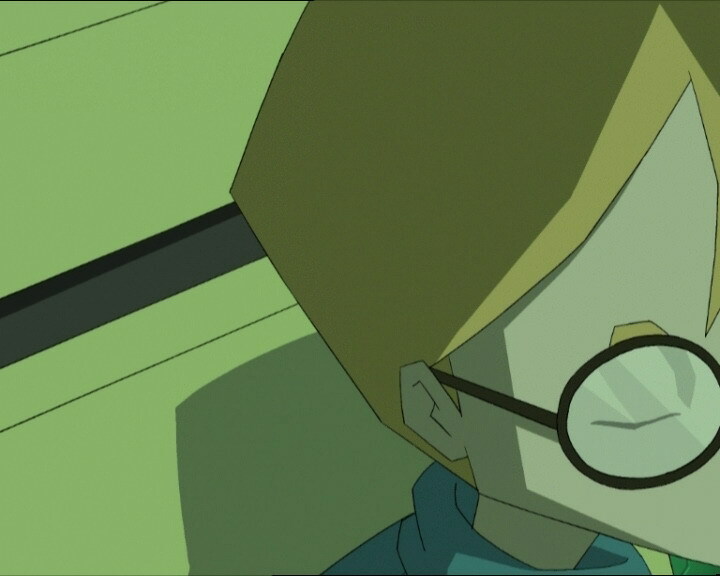 There isn’t any activated tower on Lyoko. William couldn’t of been sent by XANA. William: So you can stop pinching me, Odd. Yumi: Anyhow, you’re just in time for a quiz in math. William: Timing, huh? I haven’t studied at all. Yumi: So? Since when have you ever studied? Sissi: Hey, Aelita. We’re not disturbing you, I hope. We would really like to do a feature story on you for our next issue. It’s true that we don’t know a lot about you. Are you really Odd’s cousin? And well, is it really all that cold in Canada? And why did you suddenly come here in the middle of the year? Our readers are interested. William: Can’t you let her study in peace, huh? William: Alright, get going. All three of you. You’ve annoyed her enough. William: Than becoming a prisoner of XANA, is that what you’re saying? Sissi: William only came back cuz of Aelita! That’s a scoop, isn’t it? (we hear “No!” from Milly and Tamiya) I can’t wait to tell the news to Jeremy and see what he has to say! Jeremy: William came to Aelita’s room? You’re kidding! Are you sure he did? Sissi: We sure are. We were there! What do you think? Jeremy: Well uh, I think that... Um, I know why! She’s gonna help him catch up on, um, what he missed in math. Milly: Sissi, you wanna scoop? Milly: A real one this time? Milly: Okay, here! I quit! Sissi: But you couldn’t possibly do that! Tamiya and Milly together: Wanna bet? Jim: Go on, keep trying. I’m sure you can do a lot better than that. You remember the scene, don’t you? You told me that you watched the film a dozen times. Odd: But Jim, I swear it’s not my fault. I didn’t tell anybody. Jim: You’re gonna continue until you know the steps by heart. Unless of course you’d like me to change your class instead. Hahaha. All your pals will be so sorry not to have you with them. Ulrich: Impossible to reach Odd. I’ve already tried 3 times! Jeremy: Yeah! I’ll bet he’s living it up somewhere just when we need him! Jim: Now that, my friend, is what you should’ve thought about before talking to the press. Fangirls: Ah there he is! I told you! The music! Jim: Just what are you doing up at this hour, all of you? Fangirls: You see, Jim, we just watched your disco film. It’s incredible too! Jim: You mean you liked it that much? Fangirls: It’s a masterpiece! Would you give us your autograph, Jim? Jeremy: Ulrich, better make it snappy! William’s taking Aelita straight to the Dome area! Ulrich: I’m doing my best, Jeremy! ...Obviously my best isn’t good enough. Odd: I didn’t get here too late, I hope. Jeremy: Odd! It’s about time! What were you doing, huh? Odd: I was taking a disco dancing class. Jeremy: Right. Now get to the scanner room. You’re gonna go on a little trip. Jeremy: It looks as if William wants out of Sector 5. Yumi: But I thought you hadn’t managed to create any other sectors. Jeremy: That’s what makes it so hard to understand. At the end of Sector 5, there’s nothing except... the Digital Sea! If he jumps into it with Aelita, she’ll be devirtualised for good! Just like her father. Yumi: No problem. Ulrich, in front of you! Odd: Banzai! I hate to cut in, William, but Aelita has always preferred the company of a real gentleman. Laser arrow! Sorry, but I hate being tailgated! Ulrich: You think William’s gone forever? Milly and Tamiya: Hi, Jeremy! Ulrich: They don’t hate you now? Jeremy: I guess they found someone they can hate even more. Yumi: Kinda like us and William! All the students shouting: Paco! Paco! Paco! Odd: It’s incredible! Jim’s become a real star! Ulrich: Mainly thanks to you, right Odd?